Norman happily lives alone on Planet Gerp, spending every day making Nom Noms in his Nom Nom factory and eating only Nom Noms for every meal. It's perfectly nice and quiet on Gerp, until a loud, strange creature arrives bringing even stranger foods . . . and worse, a taste for ADVENTURE. What will Norman do? 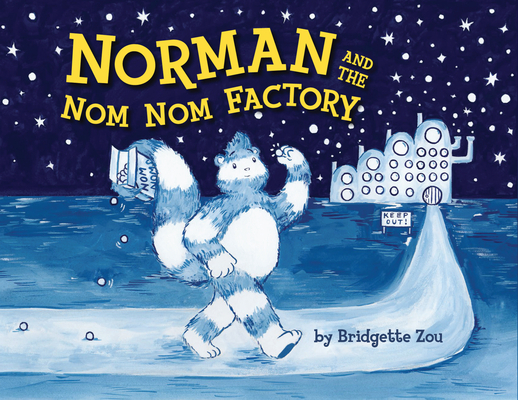 Author and illustrator Bridgette Zou, inspired by the vivid blue and white shades of porcelain, makes Norman's planet come to life in this humorous and charming picture book about friendship and discovery.